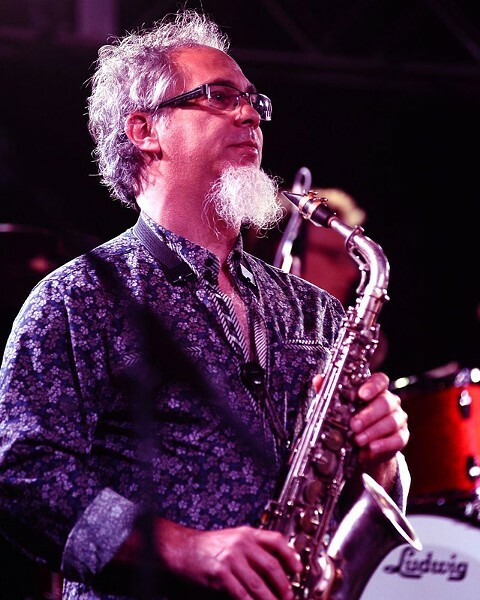 Grammy-winning saxophonist and flutist Erik Lawrence may be best known for his work with the Levon Helm Band and the Spin Doctors, but he is also a student of the saxophone's stylistic evolution. At the Bop Shop, Lawrence will perform a solo concert celebrating the birthdays of two of the greatest sax players in jazz history: Lester Young and Charlie Parker. Also well known as a sound and vibrational healer, using a variety of instruments and techniques, Lawrence will offer a class on sound healing Saturday, August 26. Contact the Bop Shop for info. Erik Lawrence plays Sunday, August 27, at Bop Shop Records, 1460 Monroe Avenue. 8 p.m. $15 donation at the door; $10 for students; sound healing class, $20. bopshop.com; eriklawrencemusic.com.